Il perfetto concept di Curved Labs per un iMac capace di omaggiare il Macintosh 128K di Apple. [...] the conceptual iMac combines the internal components of an 11.6-inch MacBook Air with the addition of a touchscreen and the new reversible USB connector. 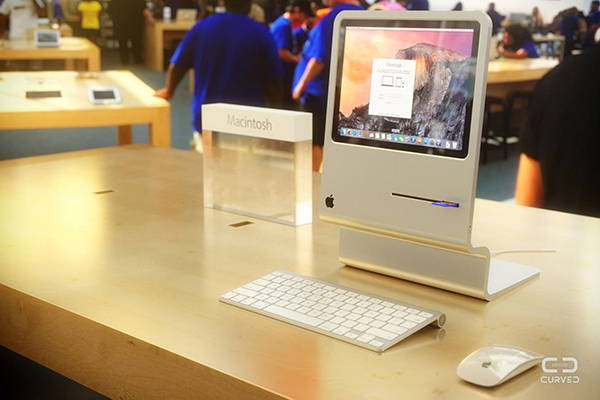 Its shape echoes that of the original Mac, though the rear bulk of the computer has sensibly been excised, leaving only a striking aluminum shape. 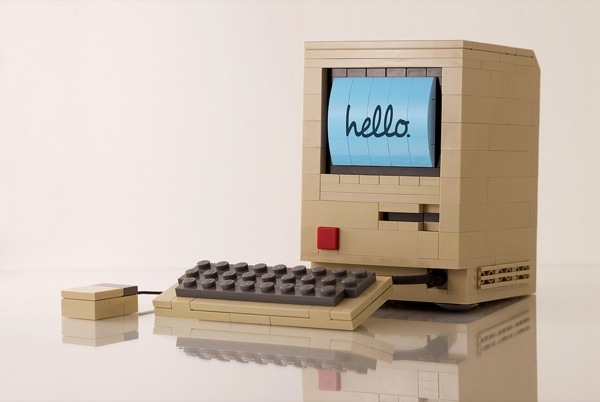 The floppy disk drive of the original has been converted into a speaker grille in the modern version, which also houses an SD card slot, a FaceTime camera, and a microphone.